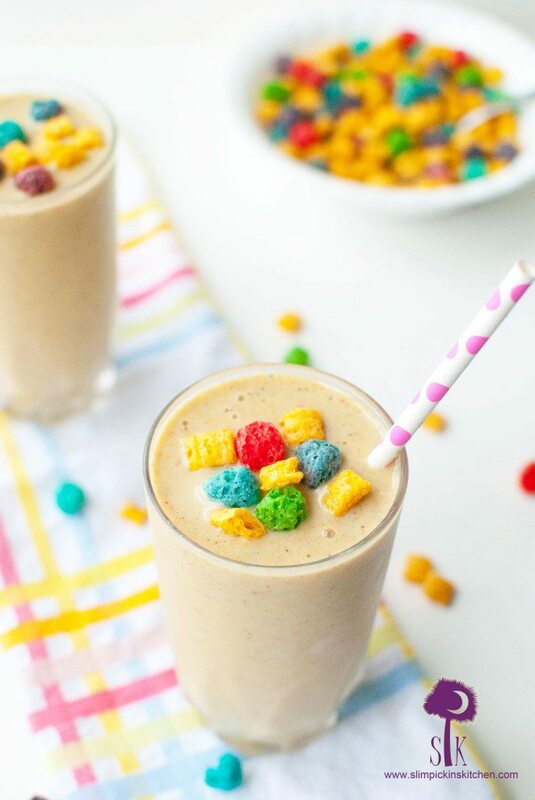 These Crunch Berries Breakfast Shakes will take you back to your childhood while satisfying your grown up appetite! Crunch Berries is (are?) probably once of my most favorite cereals of all time. The crunch, the gorgeous colors, and the amazing cereal milk they produce, are 1,000% irresistible to me. First tip of the day: recognize your triggers! Ever since my surgery, I have been working with a nutritionist to help me lose the 60+lbs I gained b/c of medications, complete lack of hormone function and, hi!, brain surgery. I teeter totter between the girl who does everything in her power to lose weight and the girl who thinks life is too short not to enjoy the things you love. That’s why I adapt my favorite indulgent recipes into something I can enjoy on the regular. This original cereal milk con-concoction came from my favorite burger bar here in town. Everything on their menu is divine, but the shining star is their thick and rich Crunch Berries Milkshake. 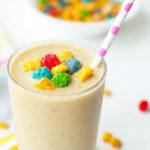 Sweet vanilla ice cream, rich whole milk, and colorful crunch berries cereal are blended together to make a masterful, gut busting milkshake served with a heap of nostalgia. See what I mean? Life is too short to miss delicacies like this! Even if you aren’t on a special meal plan, you’ll enjoy this shake! I used unsweetened vanilla almond milk, but use whole milk if you want to! Frozen bananas take the place of ice cream for me, but they don’t have to for you. I also added in a scoop of vanilla protein powder to amp up the nutrition, but you can always leave that out. I will say having a high powered blender is key when it comes to breaking down the bananas in this smoothie, but I also just cut mine in half before I freeze them so they’re in much bigger chunks. Also, this smoothie is super simple to put together, but watch out for those crunch berries because you’ll want to keep adding them. If you’re not careful you can add too much cereal which will then soak up all of the milk and become a thick soggy mess; however, if you like to wait until the cereal is all soggy before you eat it then…more power to you! 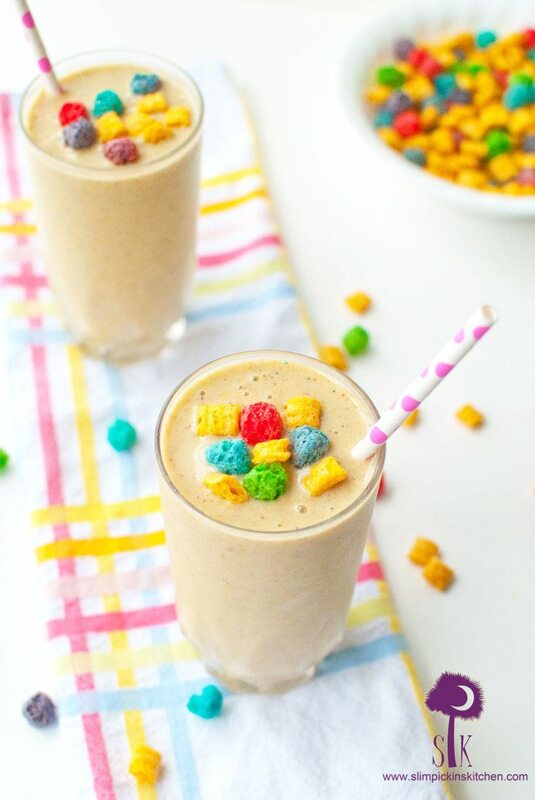 I am absolutely cuckoo for crunch berries, and these incredible Crunch Berries Breakfast Shake will make your day! 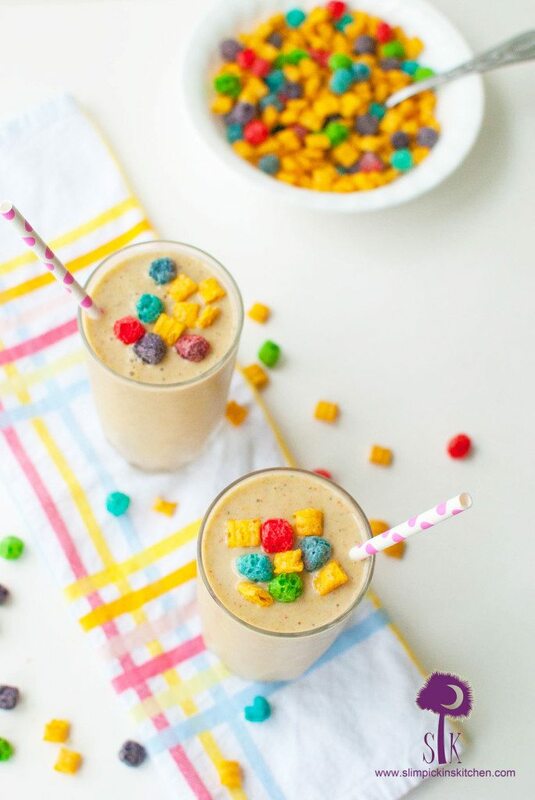 Filled with the fantastic flavor of Captain Crunch and sweet cereal milk these smoothies will take us back to our childhood while satisfying our grown up appetites. 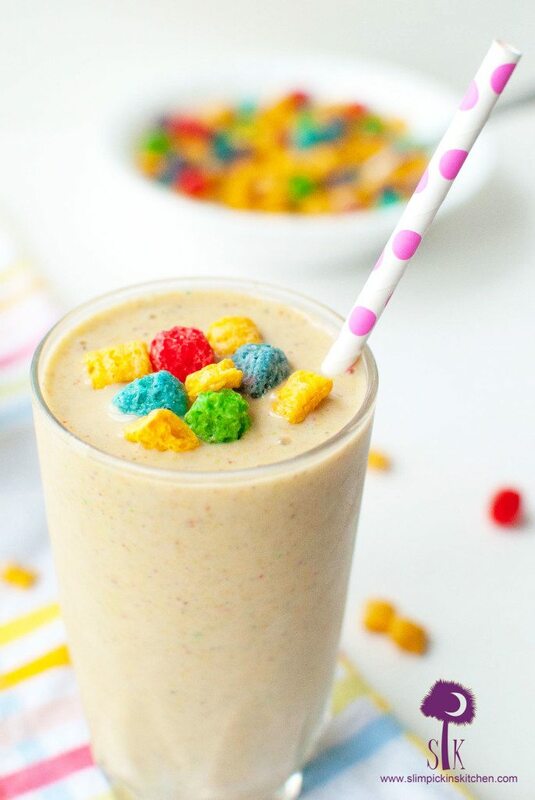 Add milk, bananas, protein powder, crunch berries, and yogurt to a blender (in that order) and process until smooth. Pour into two glasses, top with more crunch berries, and serve immediately. What kind of person says no to pie?? Apple pie moonshine, pumpkin pie ice cream, and yogurt pie are really the only pies I care about!